Rob’s photo captures some curiosities. 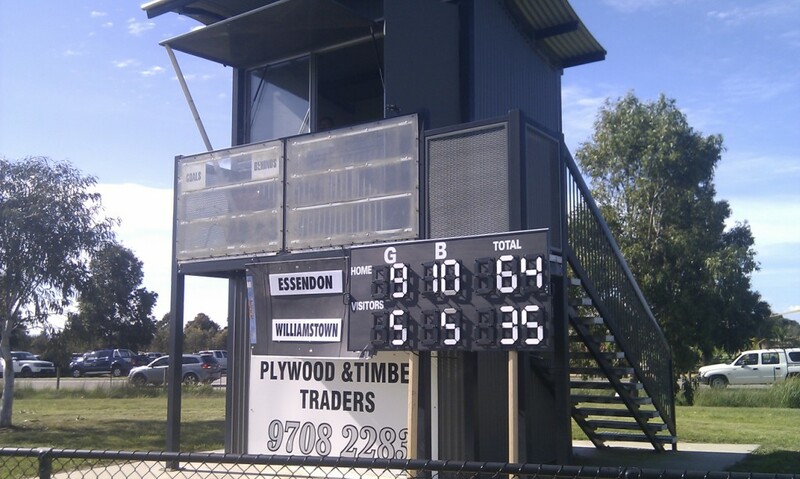 There are two scoreboards – one, unused, is made of perspex; the other, primarily steel and plastic, almost tricks the eyes with its shapes and shadows. Furthermore, the scoreboard and timekeepers’ room is sponsored by ‘Plywood & Timber Traders’, yet appears to be made pretty much of steel and metal. Rob Klemm is coach of the Williamstown FIDA teams and is also a very keen Fremantle fan.